The photograph below comes from a page from the scrapbook of my great-aunt, Benita (McGinnis) McCormick, in honor of her parents, Thomas McGinnis and Mary Jane Gaffney. 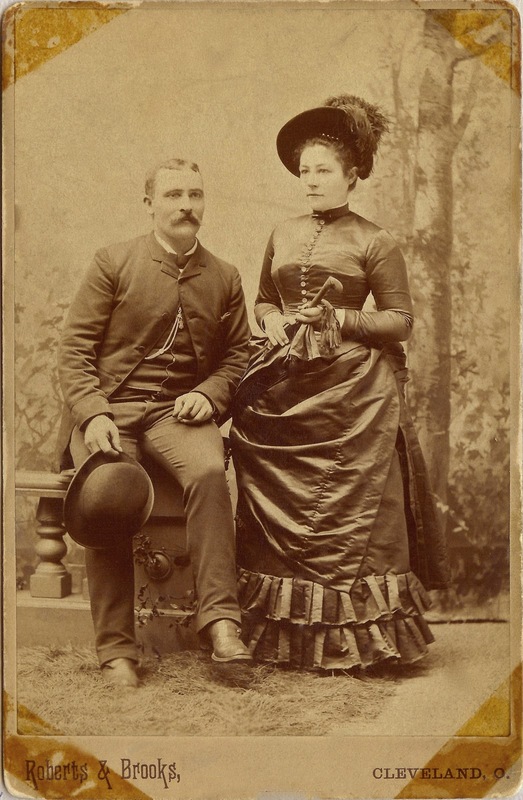 They were married on May 19, 1884, in Conneaut, Ohio. According to Benita, this photograph was taken on their honeymoon in Cleveland, Ohio. 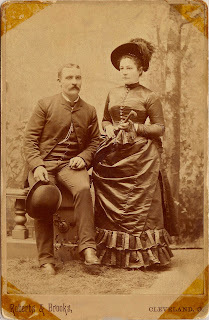 have been taken sometime after their 1884 marriage? Are you a member of the Gaffney, McGinnis, or McCormick, families? Share your memories and comments below. Thank you, Jana! Have a great weekend!